Climate change and an exponential population explosion threaten the world’s supply of fresh water, edging us closer to a global water crisis, with dire implications for agriculture, the economy, the environment, and human health. Completely revised and updated since its first edition, The Atlas of Water is a compelling visual guide to the state of this life-sustaining resource. 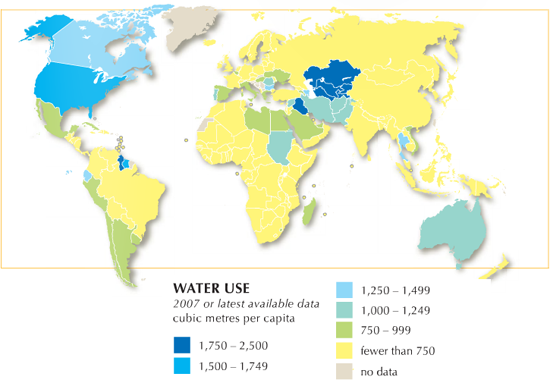 Using vivid graphics, maps, and charts, it explores the complex human interaction with water over time and across the world. 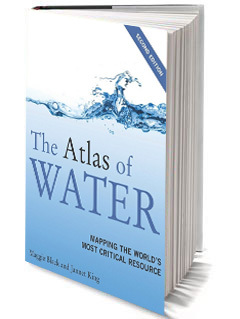 This vibrant atlas addresses all the pressing issues concerning water, from human impacts like dams and construction to water shortages and excessive demand, pollution, privatization, and water management. It also outlines critical tools for managing water, providing safe access to water, and preserving the future of the world’s water supply. The new edition of this crucial and timely atlas investigates the uses and abuses of our most valuable and increasingly strained resource. Unprecedented population growth coupled with a changing climate is squeezing the planet’s fresh water supply as never before. By 2025 nearly 2 billion people may be facing severe shortage. And even where water is plentiful, the poor are unlikely to have access to a safe supply.